which aids women and children in Africa. Orange, Black, Ivory, Pink, Lavender. Brown, Orange, Black, Ivory, Pink, Lavender. L'Empire des Enfants founded by A.S.A.O, is a center for homeless children from the streets of Dakar, Senegal, providing them with shelter, meals, education and training programs as well as working with local organizations to return the children to their families. 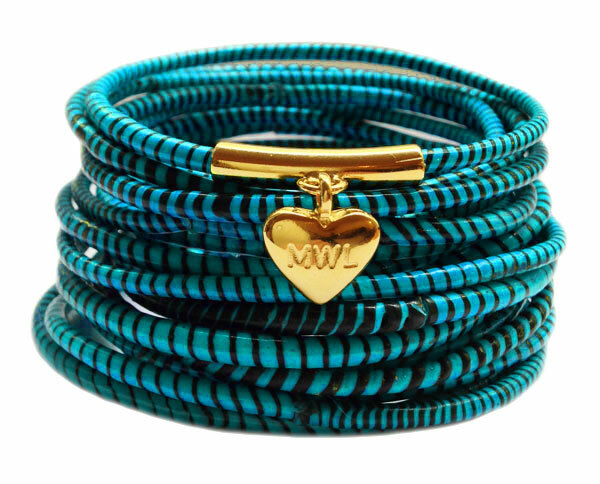 MADE WITH LOVE recycled rubber bracelets are made by a Women’s Co-operative in Djenné, Mali, West Africa. Paid a fair price for their work these braceletsprovide the women with a viable means of support and are sold to raise funds for L'Empire des Enfants.